Minneapolis Guitar Quartet is feeling fantastic. Minneapolis Guitar Quartet with conductor Aaron Humble and several choir members following a terrific performance of Jeffrey Van's "Music of Love and the Stars" at Minnesota State University, Mankato 4 weeks 10 hours ago. We invite you to our concert at the beautiful Sheldon Theatre in Red Wing Minnesota 2 months 2 weeks ago. Here's a sneak peak from our upcoming CD...a fugue from Bach's Toccata in Dm, BWV 913. Enjoy! 3 months 1 week ago. From our concert in Skopje, Macedonia in October! 3 months 2 weeks ago. Minneapolis Guitar Quartet added 6 new photos — in Plovdiv, Bulgaria. A few highlights from our recent trip to the GuitArt festival in Plovdiv, Bulgaria! 3 months 3 weeks ago. Since the release of their debut album of compositions written for the group in 1996, the Minneapolis Guitar Quartet have established themselves as master arrangers and interpreters of music from a staggeringly broad range of genres and time periods. 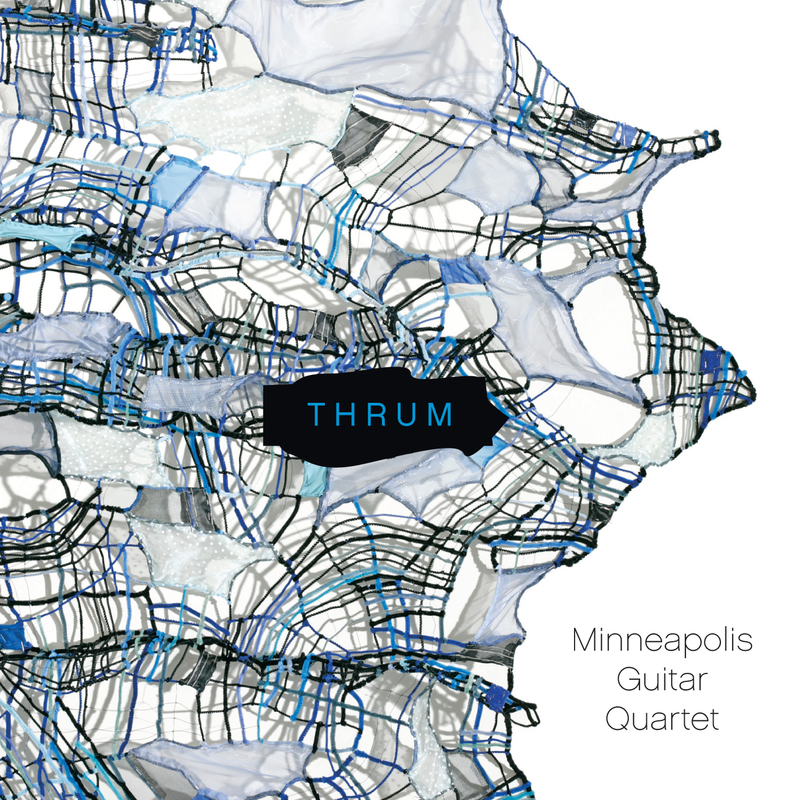 With their fifth release, Thrum, the ensemble returns to their roots with four world premiere recordings of compositions written for the MGQ in the last decade. Over the course of four high-octane movements, Daniel Bernard Roumain’s Ghetto Strings explores rhythms and resonances drawn from the vibrant places—Detroit, New York, and his native Haiti—where Roumain [DBR] has lived, while David Evan Thomas’ Thrum plumbs the more delicate depths of the nylon-string guitar’s expressive possibilities from an outsider’s perspective, working with the ensemble both as one giant 24-string instrument and as a vehicle for individual virtuosity. Cinema Castaneda, by Van Stiefel, imagines the quartet as a group of Western ranchers gathered around a campfire at night, trading music and stories, evoking the guitar as instrument of the road. Gao Hong’s Guanxi Impression pairs the classical guitar with Gao’s Chinese pipa (pear-shaped lute) to bring to life a wealth of percussive and melodic approaches that seamlessly blend diverse traditions. Called "flawless, musical and witty" by Classical Guitar Magazine, UK, the MGQ performs throughout the US both in recital and with orchestra, balancing a dizzying array of first-rate repertoire ranging from Renaissance and Baroque to Spanish, Latin American and Romantic, to highly imaginative existing and newly commissioned contemporary works. The MGQ has been heard on the nationally syndicated Saint Paul Sunday and National Public Radio's Performance Today, and released four previous CDs on the Albany and GSP labels. Members of the quartet are Joseph Hagedorn, Ben Gateño, Wade Oden, Steven Newbrough.